The Fulltone Octafuzz OF-2 gives you an exact copy of the venerable Tychobrahe Octavia in a brand-new unit! Whether you're chasing that elusive Hendrix tone, want to capture a little SRV magic, or want to create your own ringing, otherworldly vibe, the Octafuzz OF-2 gives you an essential ingredient for a tasty sonic stew. This pedal provides the kind of unique effect range that transcends mere fuzz and octave-up sounds. Its compact heavy steel enclosure, gloss powdercoat finish, and antique-white logo give the Octafuzz OF-2 a vintage look to go with its classic tone! 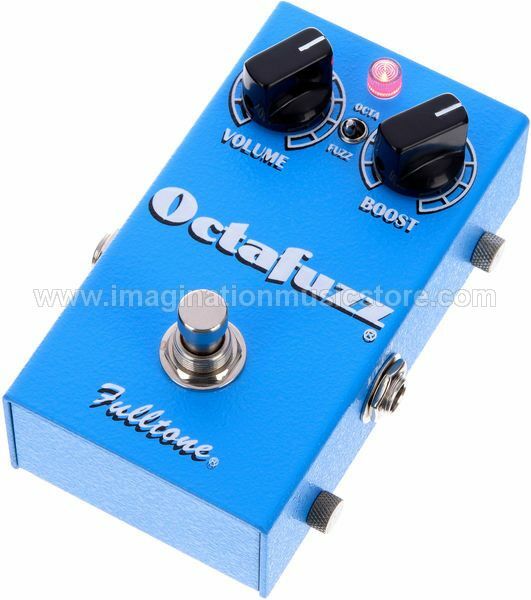 Switchable between "Fuzz" and "Octafuzz"